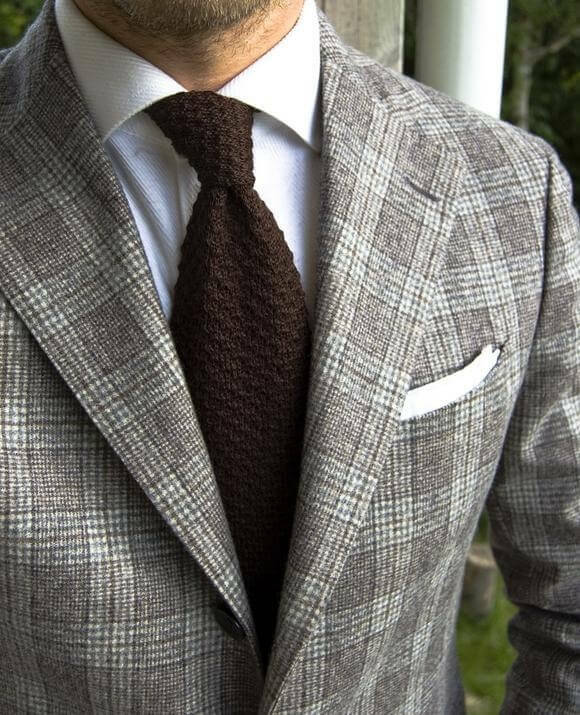 Looking for some ideas on autumn/ winter suits in 2018? 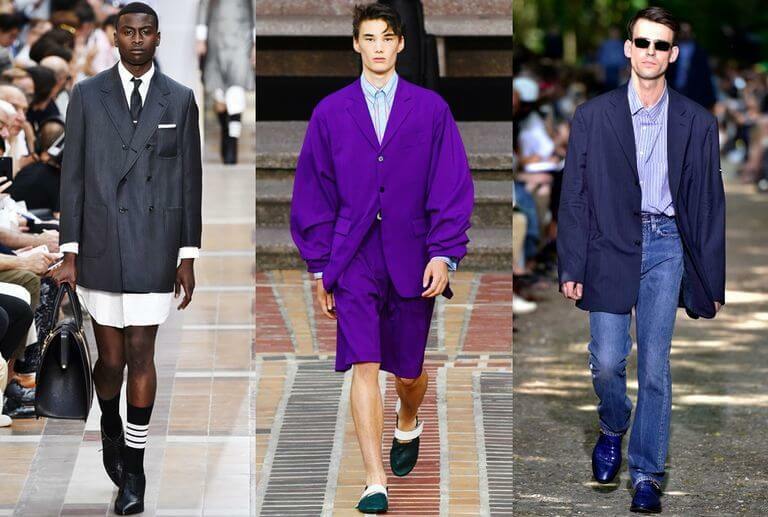 Here are the 3 big trends in autumn/ winter men’s suits in 2018 you should watch out for. Things are very different in 2018. Modern men’s suits are no longer about how to wear slim fit suits to show off your body shapes. Even Thom Browne had surprised us earlier in their spring 2018 shows by throwing out lots of oversized suits (see pictures below). 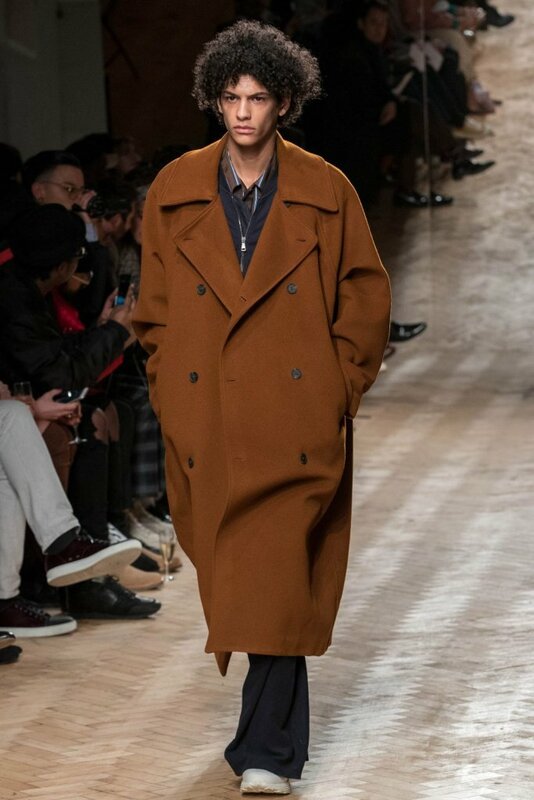 Such oversized trend will continue in fall/ winter 2018. And not just loose fit, see also the suit jacket lengths. All these newly designed suits have their jacket lengths up to 1/3 of thighs, longer than ‘traditional modern suits’ of only up to 1/4 or 1/5 thighs. Brown colour is definitely the shade for fall/ winter season in 2018. 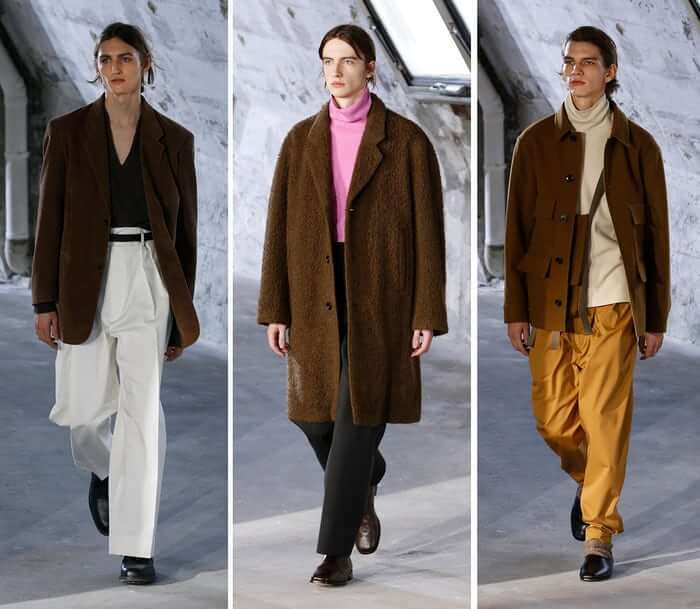 Fendi, Louis Vuitton… all these big fashion brands used brown colour on their overcoats and deconstructed blazers in their latest winter fashion shows! If you’re considering something to stand out, consider getting yourself a 2-piece suits in milk-chocolate brown colour! It’s never out of fashion. Checkered suits are elegant and cool, and again an ideal choice for this fall / winter 2018. Among checkered suits of different colours, Darmian loves grey and light blue most, not too dark and you can still see the checkers / patterns at some distances. Most people think checkered suits are only for sports and movie stars because of their muscular bodies. That’s only partially true. The suits look so great on them also because they have fine tailors who can custom-make suits, but also to use their eyesight and craftsmanship to highlight an individual’s body strength. More on the article “he is a Tailor, but also a Magician“. Even if you’ve have big bellies, fine tailors can also hide your body weaknesses using different cutting styles and adjusting the length of blazers. You don’t need to have a perfect body, but some good tailors for [checkered] suits. drop L&K Bespoke Tailor, A-Timeless Tailor, Milan Tailors etc a message. These Hong Kong tailors do travel overseas to different countries all over the year to help customers to get measured up. What are these tailors’ travel schedules, when will they coming over to my country? Click on the above tailors & request for latest travel schedules using the “message tailor” function. Damian S – Fashionista & suit enthusiast! Lover of local culture and exploring the secrets of the tailoring industry.